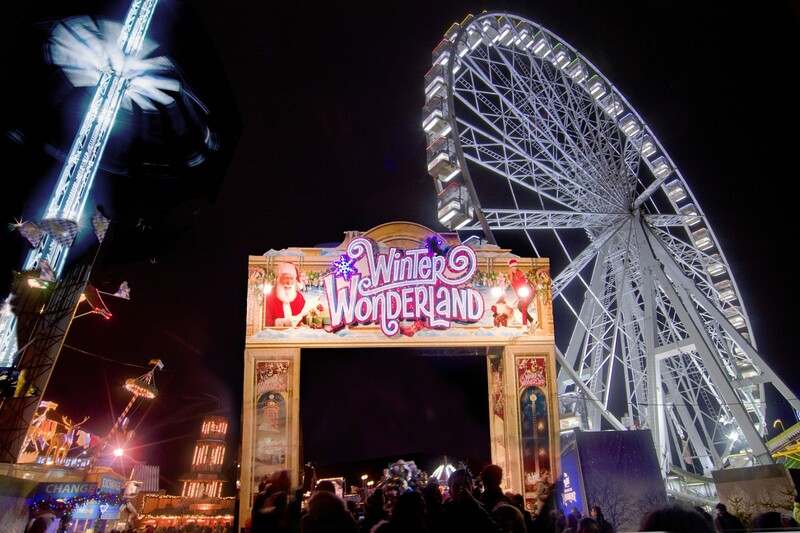 It’s no lie that I LOVE Christmas and when were invited to the opening night of Winter Wonderland Hyde Park in London I jumped with joy (quite literally)! I’d seen Elf the Musical the night before at the Dominion Theatre and was feeling extremely festive already! 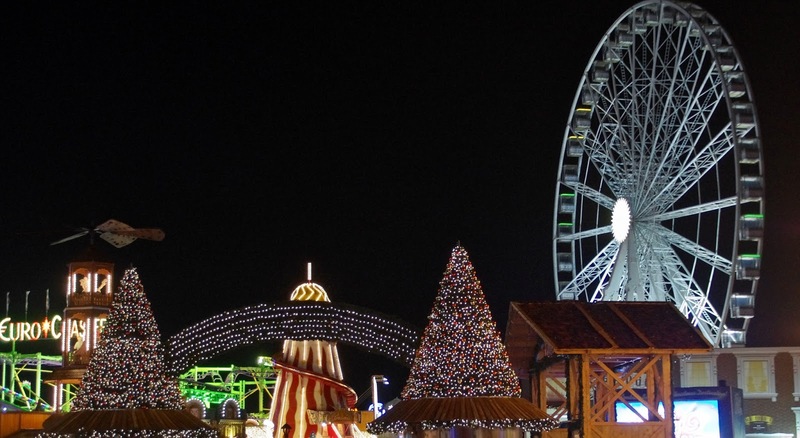 We loved strolling around Hyde Park which was jam packed full with Christmas spirit, shops and rides with Christmas songs playing and delicious smells wafting everywhere you walk! 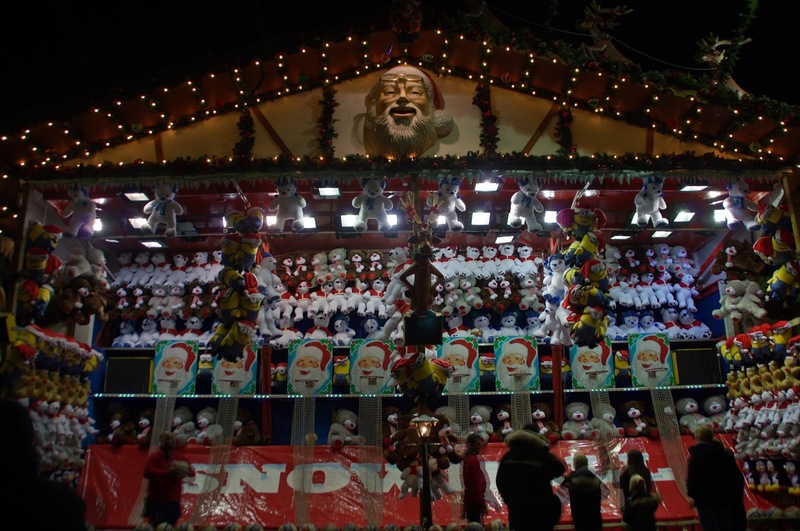 Entrance to Winter Wonderland is free and it is open every day from 10am to 10pm (except Christmas Day) between now & the 3rd of January! 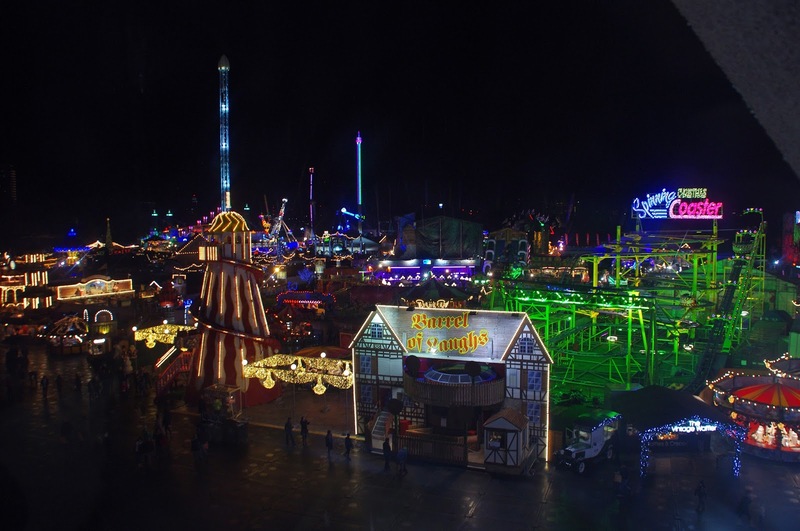 You can then pick and choose which rides and attractions you visit. 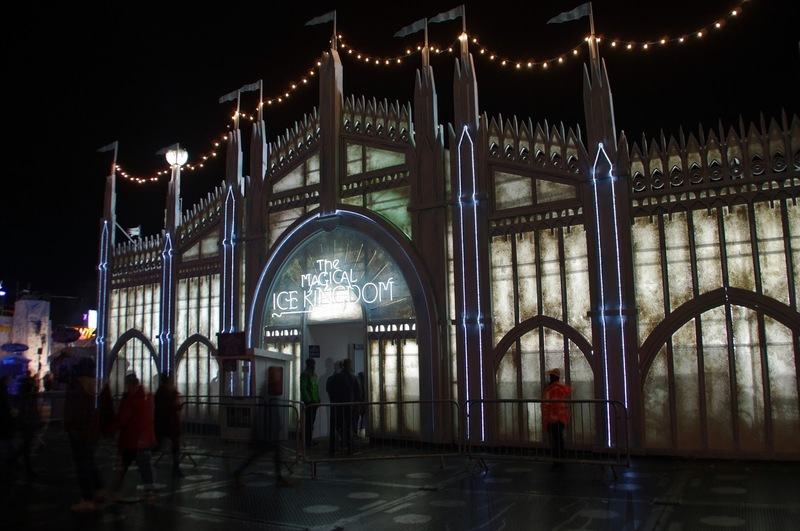 We immediately headed straight for the ice rink, which is the largest outdoor ice rink in the UK and surrounds the Victorian bandstand. 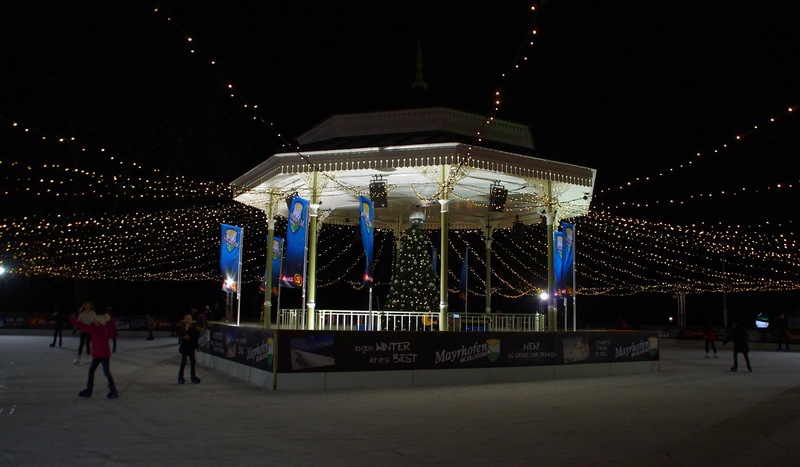 There was a musician playing christmas songs in the bandstand and the ice rink is illuminated with over 100,000 lights! 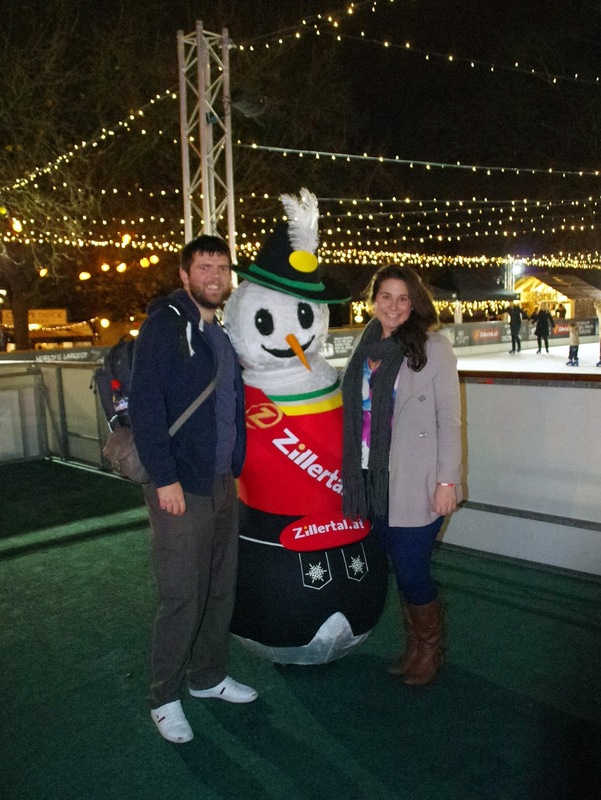 Despite not being the most graceful ice skater, it was still a pretty magical experience! The building where you hire your skates is really warm and there’s lovely, comfy rugs for you to sit on too (which you may need depending on how many falls you have on the ice). After we finished ice skating, we headed off in search of a drink to warm ourselves up. 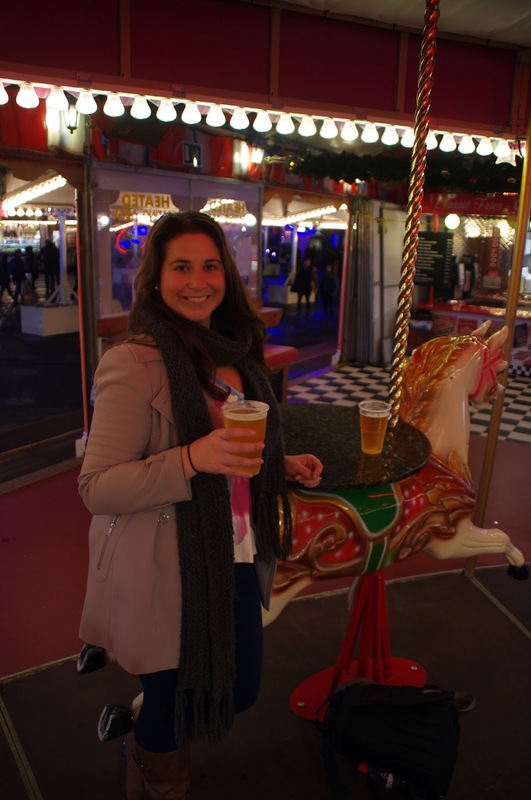 It didn’t take long to find a bar we fancied as there is literally food and drink stalls everywhere you look! 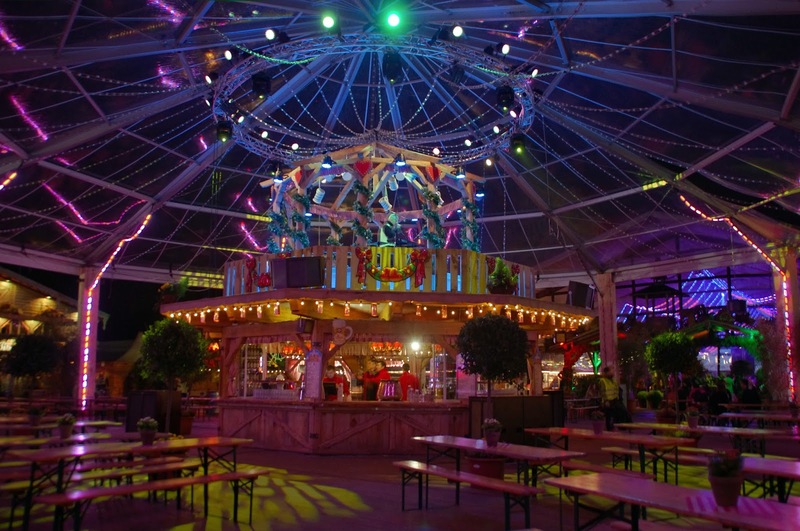 We particularly liked the look of the Carousel Bar, which is exactly what is sounds like… a children’s carousel with a bar in the middle which we absolutely loved the concept of. After a few drinks though and the constant slow moving, everything is spinning a little! 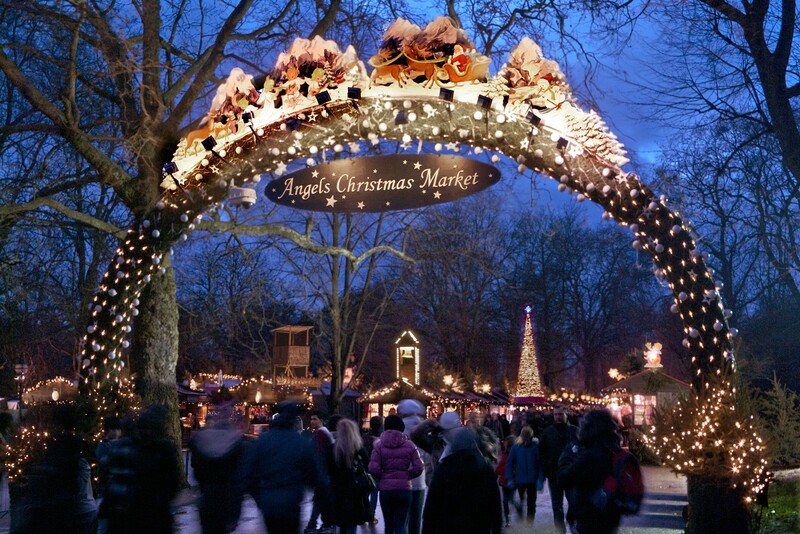 We strolled through the Angel’s Christmas Market, which was a lovely market with beautiful stalls filled with Christmas decorations, handmade ornaments, crafts, foods and delicacies. 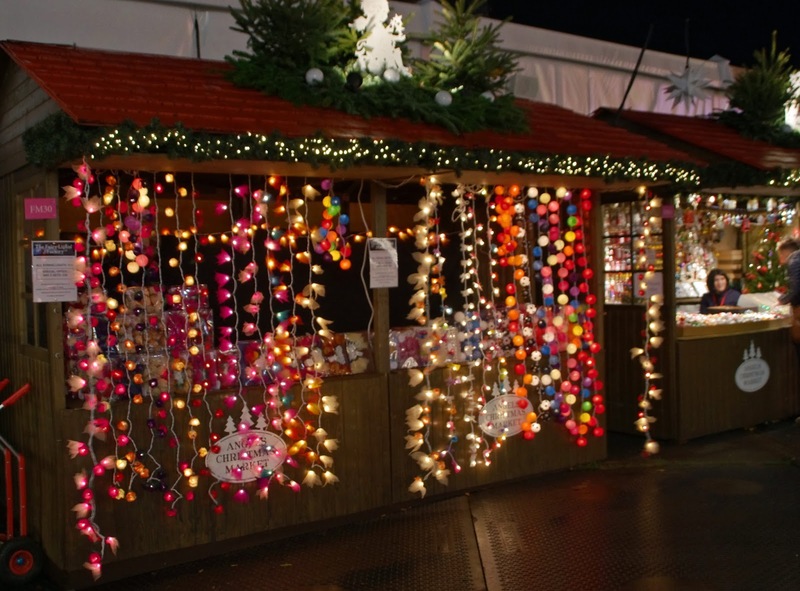 There are over 200 fairylit Bavarian style wooden chalets which will be certain to get you into the Christmas spirit and help you with your Christmas shopping! 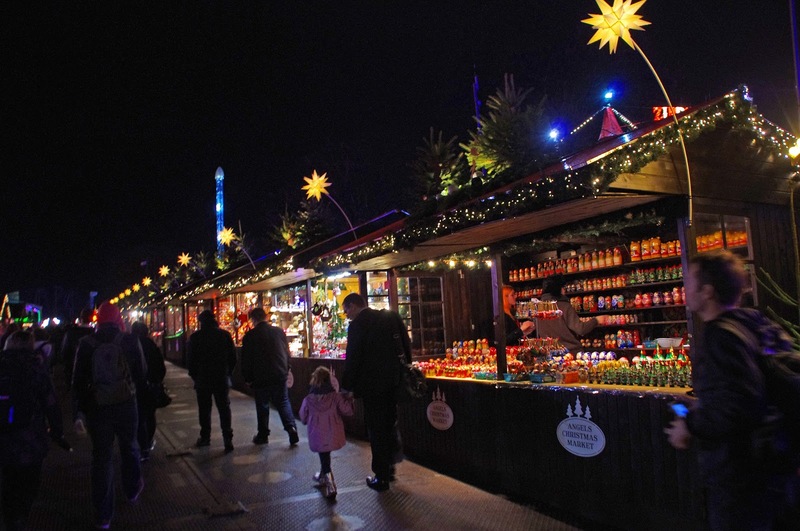 In addition to the lovely markets, which were beautifully lit up there was endless food and drink shops and stalls. 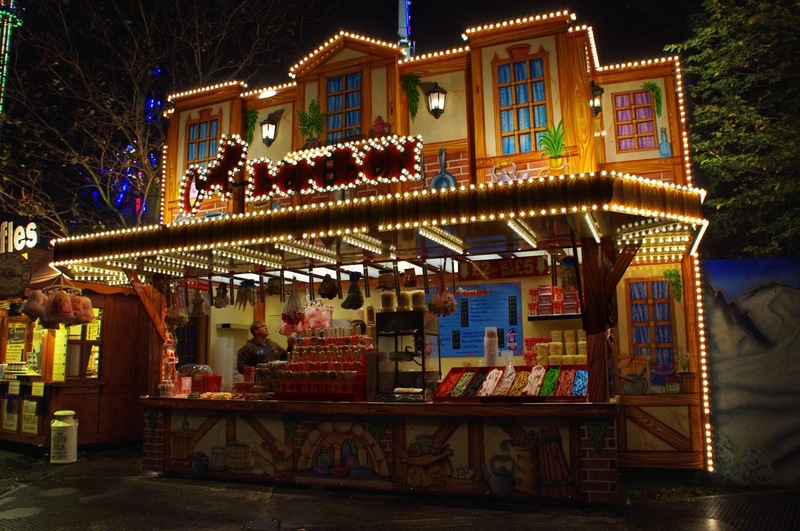 I can almost guarantee that whatever type of food or drink you could possibly want, it would be available at Winter Wonderland! 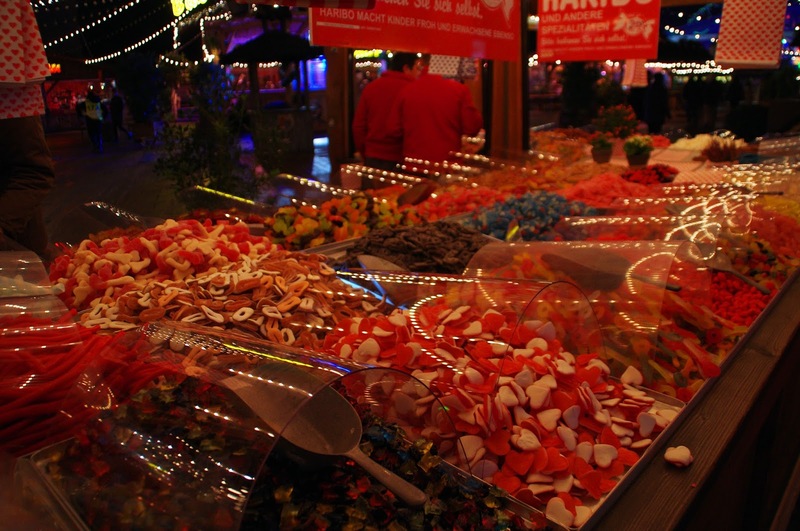 We were blown away by the huge variety, but as expected it is quite pricey! 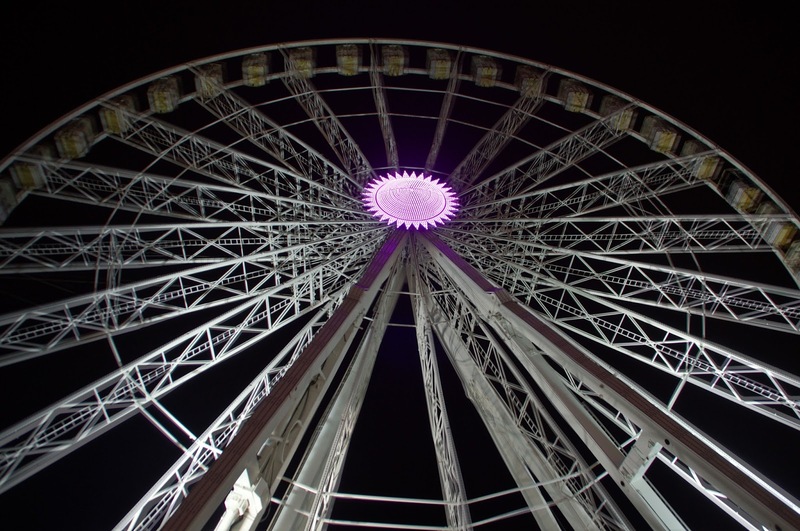 The best way to take in that Winter Wonderland has to offer is with a ride on the Giant Observation Wheel. 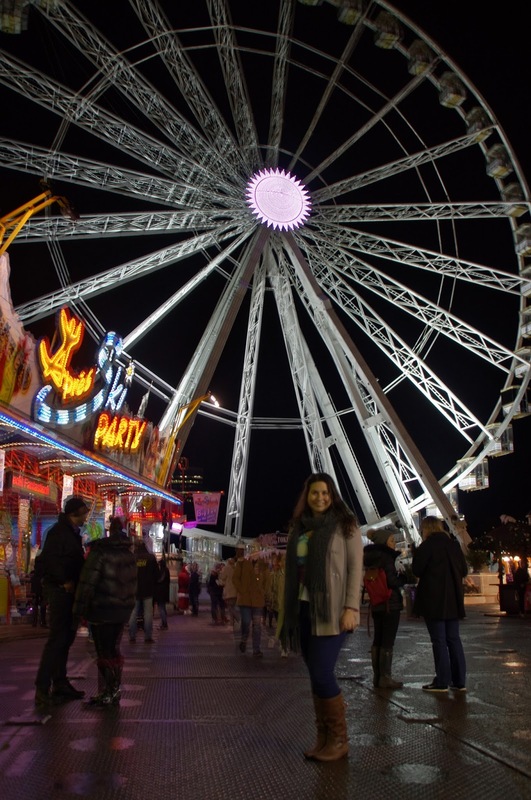 The Wheel goes over 60 metres high into the London sky and offers spectacular 360˚ panoramic views of Winter Wonderland, Hyde Park and London! Our ride lasted about 15 minutes and we went twice around. 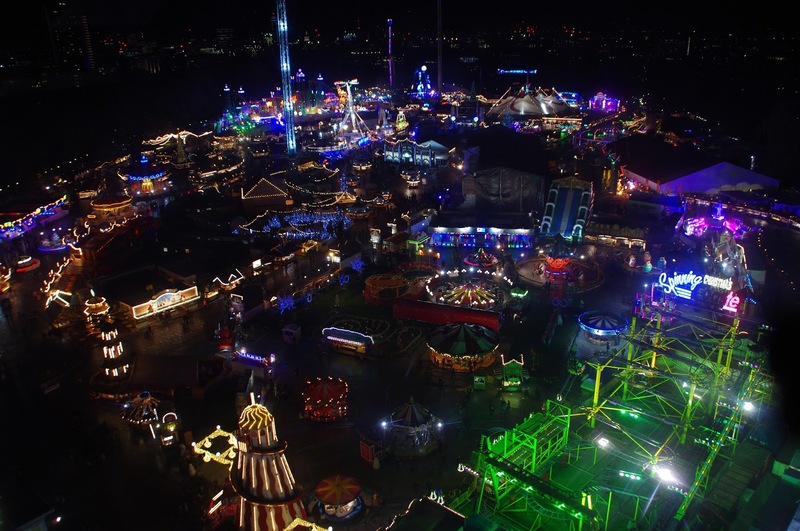 It was great to see Winter Wonderland from above and I couldn’t believe just how bright it was from above! 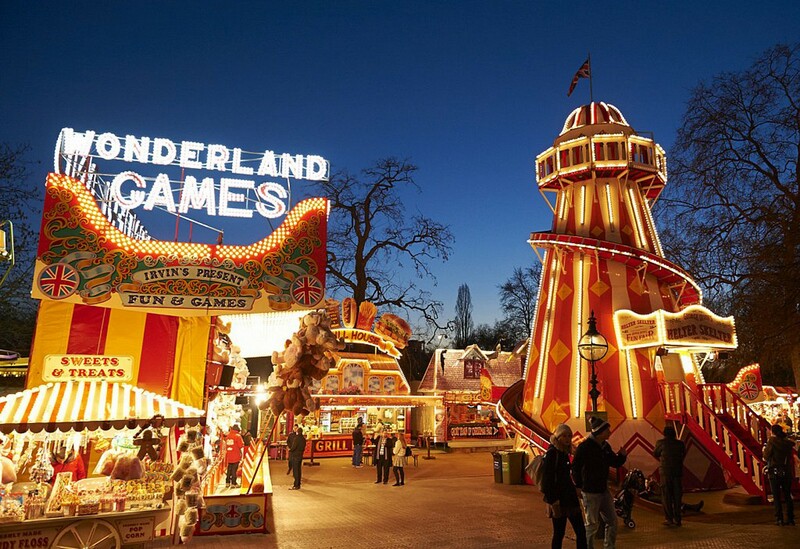 The kids will love Winter Wonderland with a visit to Santa Land and all the rides and sideshow games on offer! 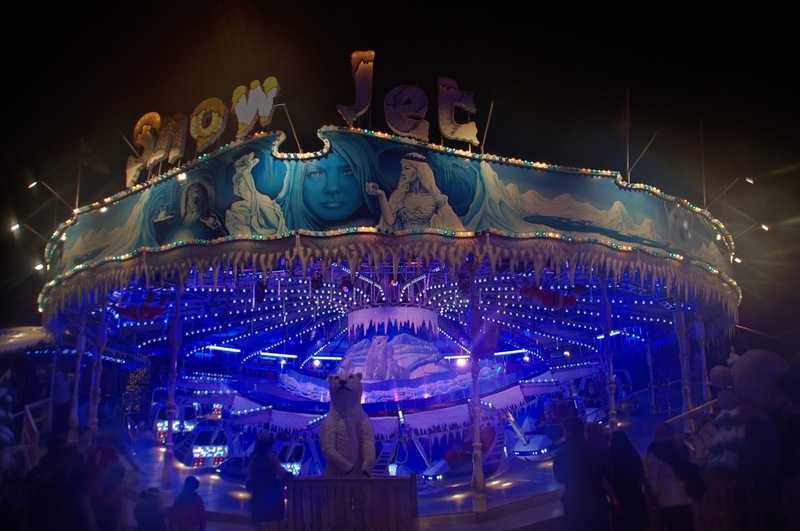 Every carnival ride you can possibly imagine is at Winter Wonderland and there is plenty of chances to win some prizes too! On our way to the Wheel, Dan had spotted the Bavarian Village and so I promised him we’d go there straight after the Magical Ice Kingdom, which had been at the top of my list of things I wanted to do (along with ice skating)! 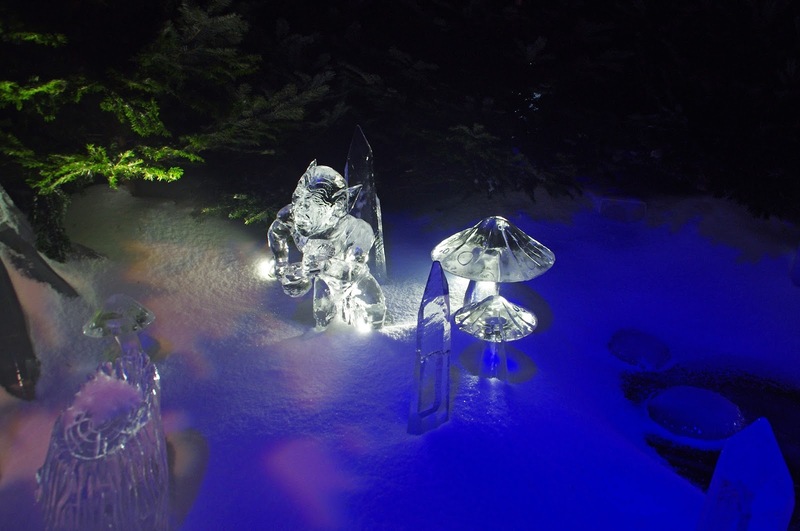 Our Magical Ice Kingdom experience was truly a highlight of my Winter Wonderland visit. 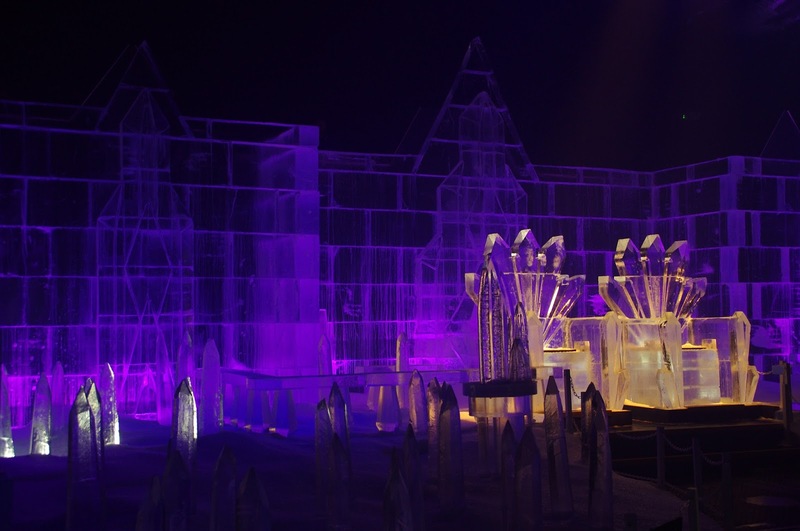 The Ice Kingdom is set to a constant temperature of -8°c and so it is really chilly! 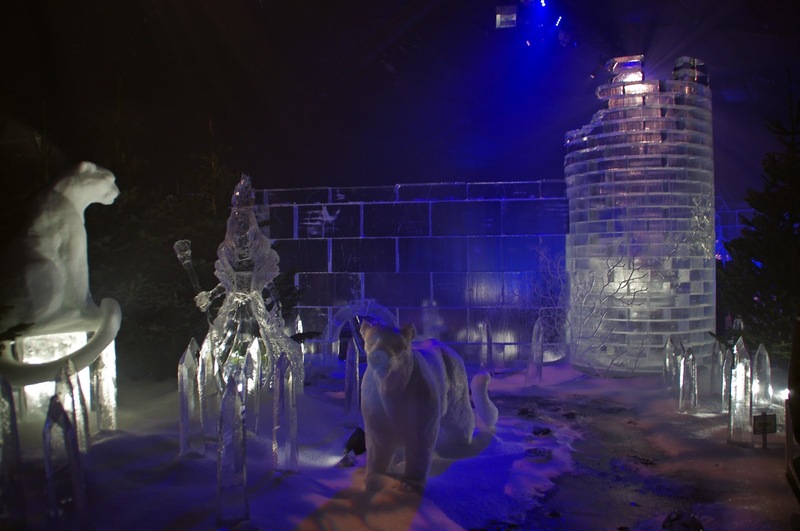 It is a immersive, walk through experience where you explore a magnificent ice castle, visit a magical fairy forest, stumble across frozen giants, seat yourself on a magnificent ice castle and can even slide down an ice slide! 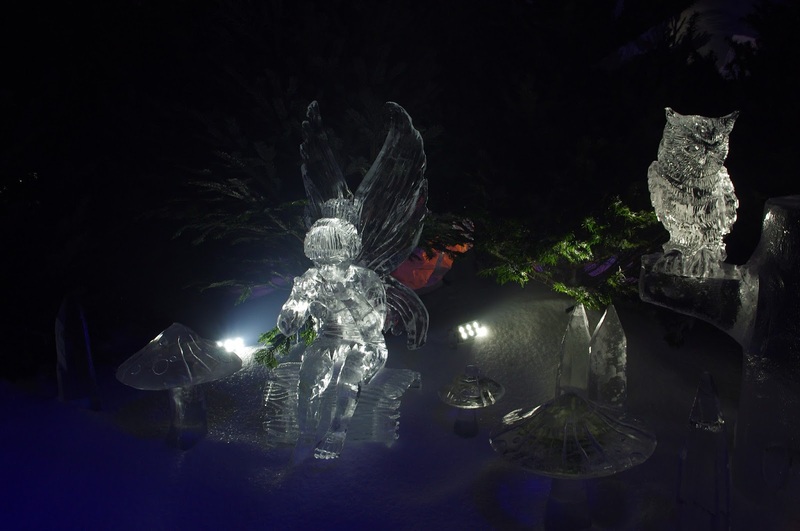 I was blown away by the ice sculptures… they were so delicate, detailed and intricate! It is advertised as “an exchanting arctic experience that will take your breath away” and it did that and more for me! I loved it and would highly recommend it. On your way out you are also given Hot Hands, which help warm up your fingers! 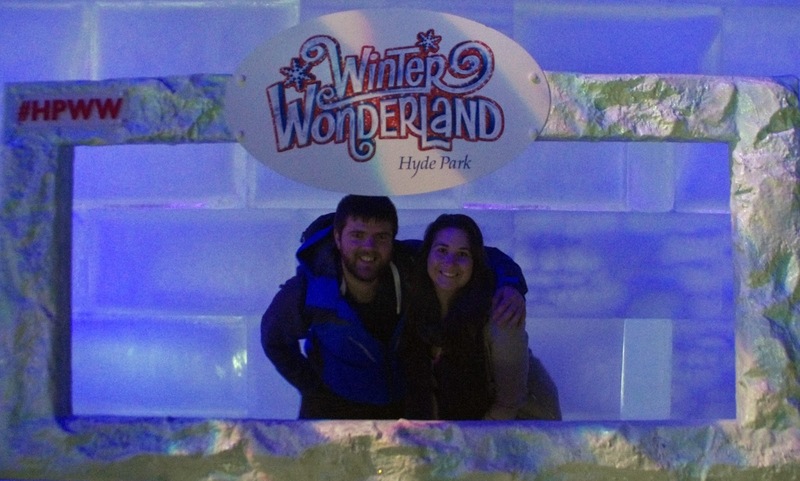 There is also a ice bar at Winter Wonderland, but we unfortunately didn’t have time on this occasion. 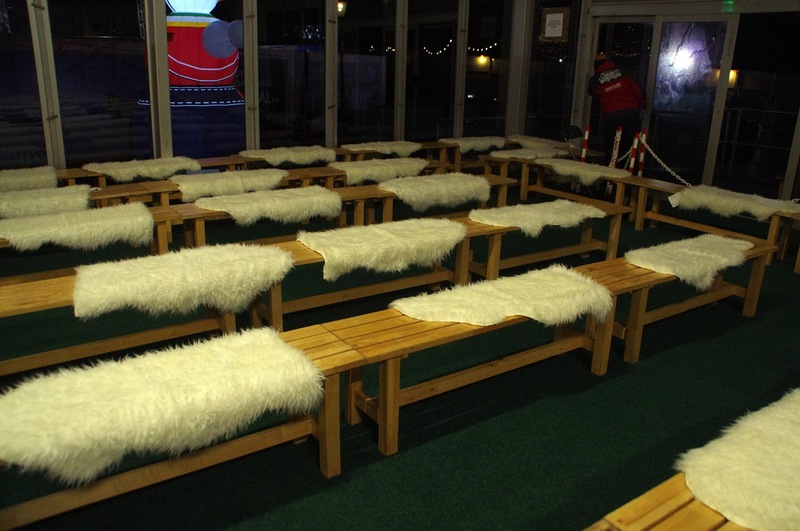 The bar is immersed in an arctic setting and you are given a winter cloak and gloves to keep you warm during your visit! Your delicious cocktails are served in a unique ice glass! 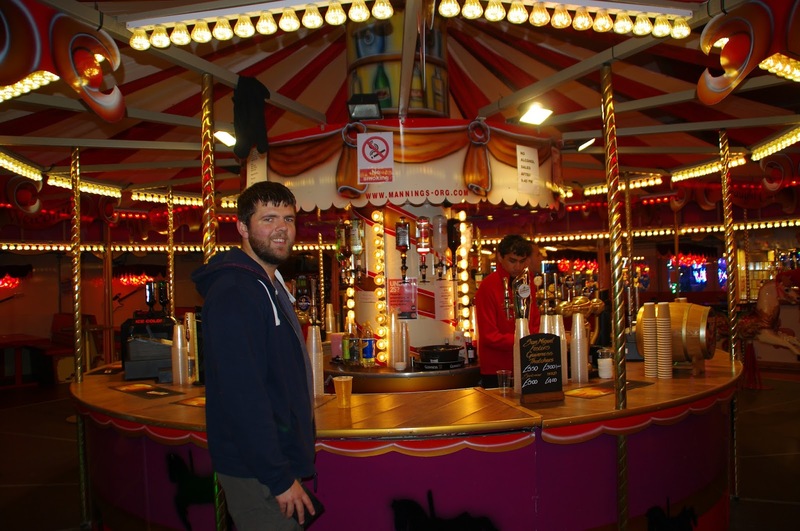 We also didn’t have time for a visit to one of the two circuses on offer at Winter Wonderland, the Christmas Circus and Cirque Beserk, both from the family-friendly Zippos Circus. 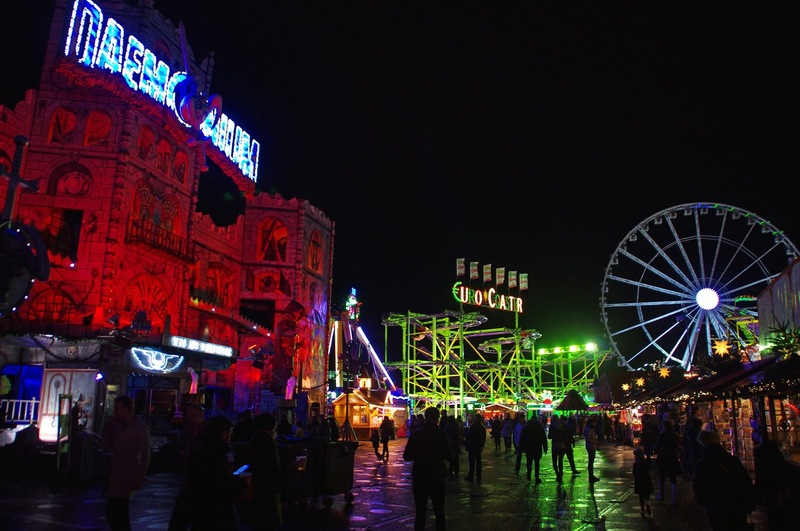 We’d love to go back as we heard great things about the circuses! 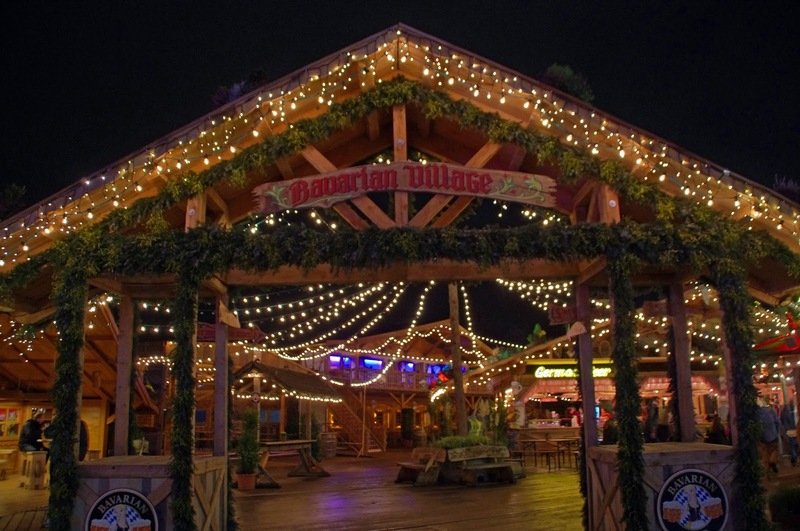 As promised, Dan and I headed straight from the Magical Ice Kingdom to the Bavarian Village, a huge wooden village that feels like you have just stepped into Germany! Again, food and drink are on offer and there is plenty of entertainment! We opted for some delicious mulled wine here to warm up after our visit to the Ice Kingdom! 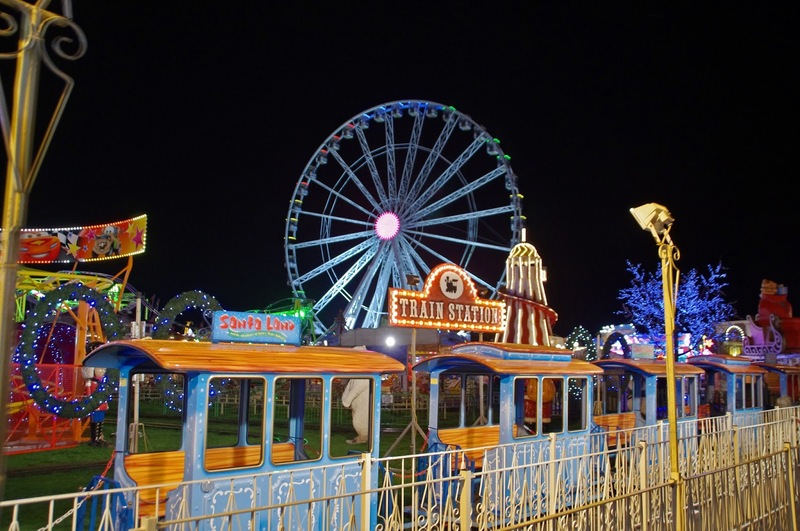 We had a great evening at Winter Wonderland and would recommend a visit this festive season. 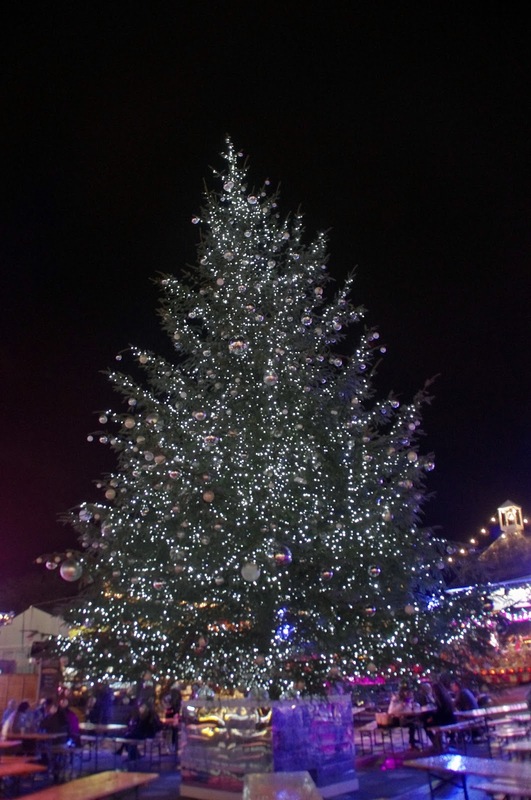 It is Christmassy, fun, festive and there’s plenty available to please everyone in the family! We happily spent a whole evening here and still ran out of time! 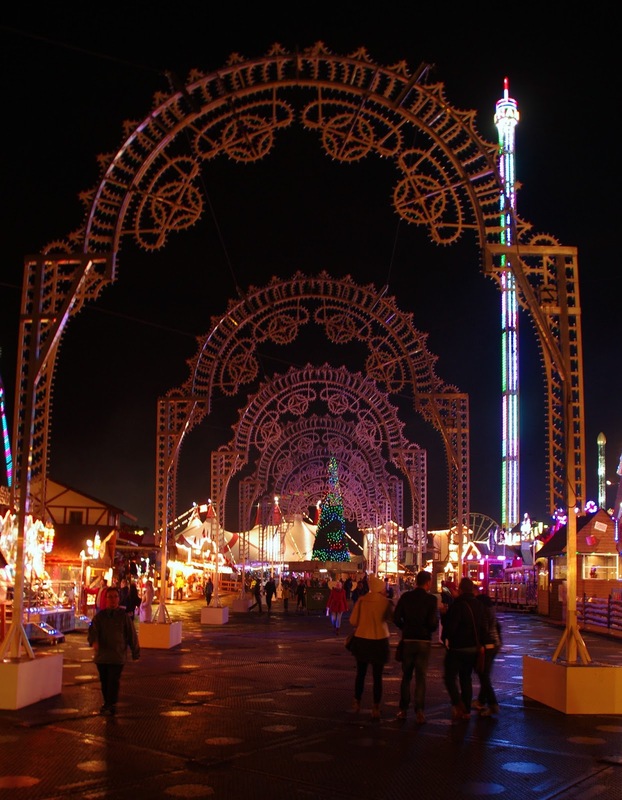 Thanks to Winter Wonderland Hyde Park for hosting our evening.